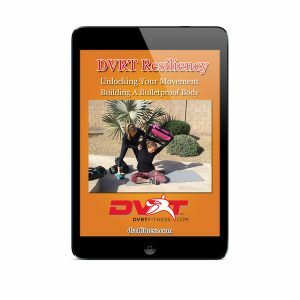 This is one of our most exciting DVRT programs. 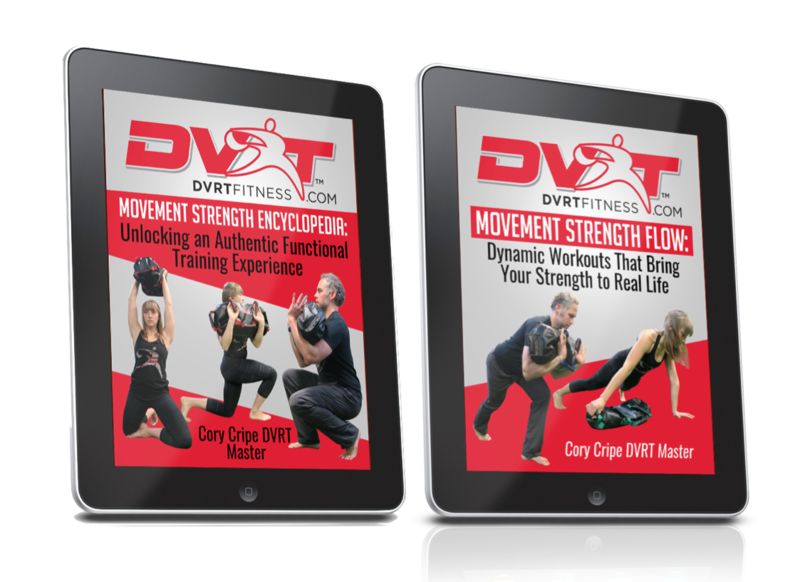 DVRT Master, Cory Cripe, takes his highly successful movement strength training programs to the next level. If you thought that functional based training can’t make you strong, leaner, and most of all, FEEL your best then you haven’t seen how Movement Strength can be so transformative. With his background working with some of the top athletes in the world (his work with the Chicago Bulls in the 90’s) to helping his favorite clients at his facility Fitness Lying Down, Cory has used DVRT to help people achieve everything real world fitness should be about! -45 workout programs with video link descriptions for every single movement. That’s over SIX months worth of training. -Full warm-up program to get your body primed for training, but also to build in better mobility, flexibility, and stability training. 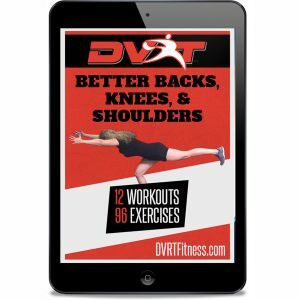 -Over 140 exercises that are progressively built to develop all around fitness. This isn’t JUST about strength, flexibility, or endurance. It is the best combination of all of them! -Cory lays out a program that is easy to follow and most of all delivers results! **This is a downloadable program so there are no refunds on downloadable workout programs. People can’t stop raving about Cory and his training concepts! “I can’t stop raving about Cory! I came to them with a recent shoulder surgery and chronic low back problems. I have always been active and did traditional weight training because I not only enjoyed, but saw great value in being strong. My experience with sandbag training has been nothing less than exceptional. Not only have I eliminated my low back pain, my shoulder pain has been significantly decreased as well. The body aches and pains I used to attribute to age have been eliminated and I am able to move more efficiently than when I was younger.”-Kathy B. “WELL…along comes Fitness Lying Down. I was intrigued, went and saw Cory for a preliminary evaluation and guess what???? I couldn’t do anything he asked me to do!!! What an eye opener!!! Liking a challenge, I signed up. Zero strength, bad balance, poor coordination. Cory took me, literally, from the floor to where I am today….taller, stronger, more coordinated. The very best thing is that I have translated the movements he has me do as my “workout”(I say it loosely because it really is a training of your body to move correctly as you take on the tasks of everyday living) into better body mechanics with whatever I do. Yes, he has Ultimate Sandbags and I love them…who says that? Lifting and moving with sandbags throws my balance off just enough that I have to learn to compensate…isn’t that what moving through life is all about?? It becomes a total body “exercise” that involves head to toe involvement. Can you say that about any other piece of equipment that you know of? Strength training, balance, coordination…oh I forgot one other aspect of Fitness Lying Down…MIND training.”-Joan S.